We have a professional equipment for processing of plastics. Our machine park is constantly improved by adding modern equipment so the quality of our orders is as best as possible. CNC processing machines used in our production allow for execution of precise projects. We also have a numeric milling plotter with a working field of 1190x1790mm with high processing capacity. This processing machine enables cutting of even the hardest plastics. 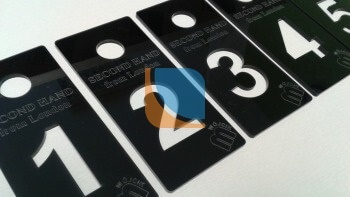 We also have a CNC laser providing excellent cutting and engraving of most complex shapes and patterns. Its working field is 1500x2500 mm. 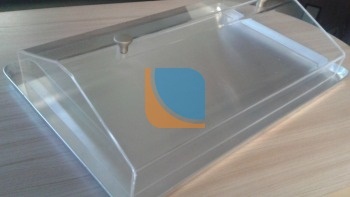 We offer you a specialist thermal processing of plastics. The wide potential of our personnel and the equipment we have make that we can do a variety of bending creating shapes you need. By developing our technical processing we are able to produce complex shields for machines and equipment, stands, boxes, etc. We produce shields from such materials as: solid polycarbonate, plexiglass or polyester of variety of bending angles, length and thickness. A careful warming of these materials causes their temporary plasticization so that the plastic can be shaped in any way. Our technical processing department specializes in manufacturing a variety of products you need. Very often products are made by joining two plastic elements by gluing. This process is done with high precision so that it is almost invisible but very durable.